Nifty yesterday respected the 200min MA resistance line(Check the intraday chart) and bounced lower. For 19th Feb 2009 go long above 2800 for a target of 2820 and 2842. 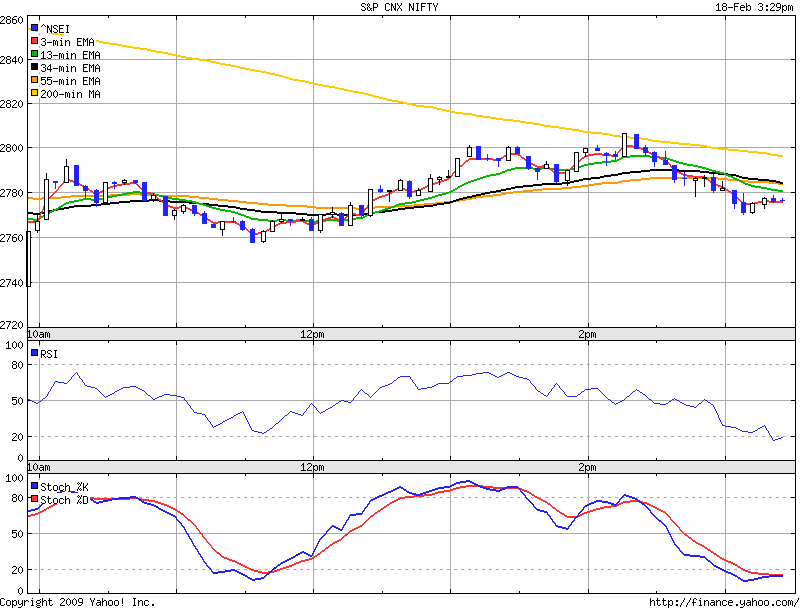 Or Short below 2770 for a target of 2740 and 2710.